In the early 1990s, an Aboriginal surfing movement began with the inaugural Indigenous Surfing Titles held at Wreck Bay. 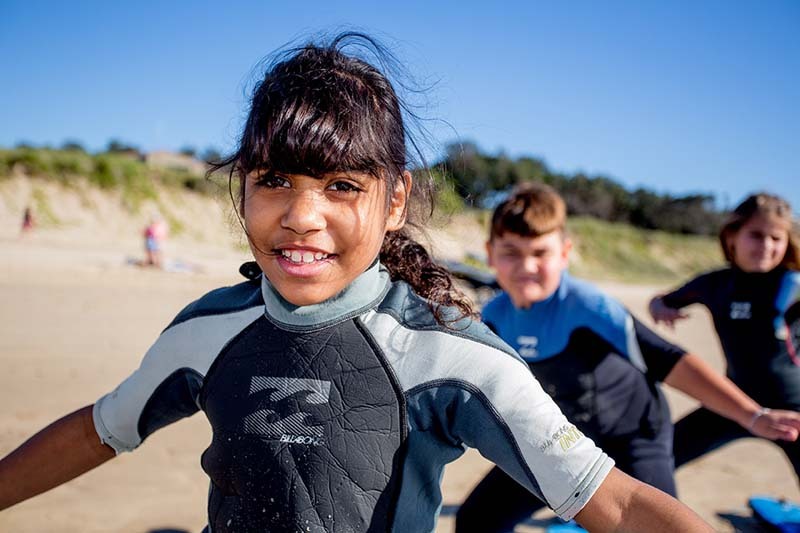 There have since been many surfing programs to develop grass roots talent and engagement in a healthy lifestyle, which closely aligns with traditional coastal lifestyles, providing long and lasting benefits for Aboriginal people. A steering group has been created to increase the profile and activities of professional Aboriginal surfing in Australia. The vision now is to create a collective and coordinated framework for Indigenous surfing, to support and progress Indigenous surfing into the future. A series of consultations have taken place at two of the current Indigenous surfing events at Bells Beach and Coffs Harbour. A steering group is seeking further input from Aboriginal communities across Australia to ensure that self-determination and community control drives the future direction.